Tomorrow is Rakshabandhan and I am sure all sisters would be super excited to tie rakhi on their brother’s wrist and of course get gifts *winks*. For my international readers, Rakshabandhan is an Indian festival for brothers and sisters wherein sisters tie rakhi on their brother’s wrist and in turn brothers promise to protect them. It is indeed a festival of fun and gifts! 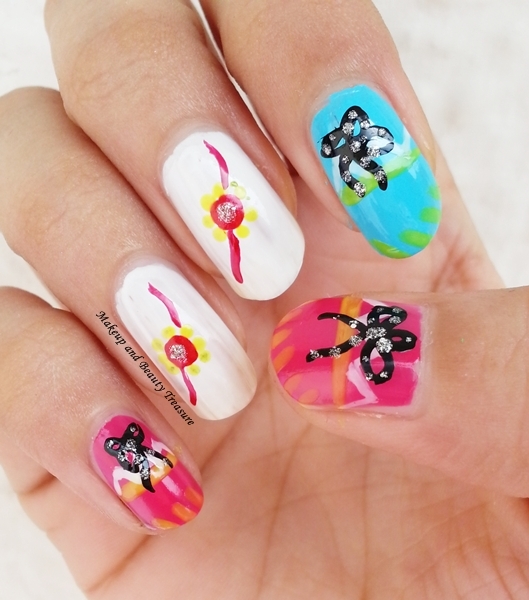 As promised I am back with my nail art and I made a super easy Rakhi nail art tutorial. Apply base polish of your choice and let it dry completely. Here I have used Oriflame Intense Pink Nail Polish (Review coming soon!) 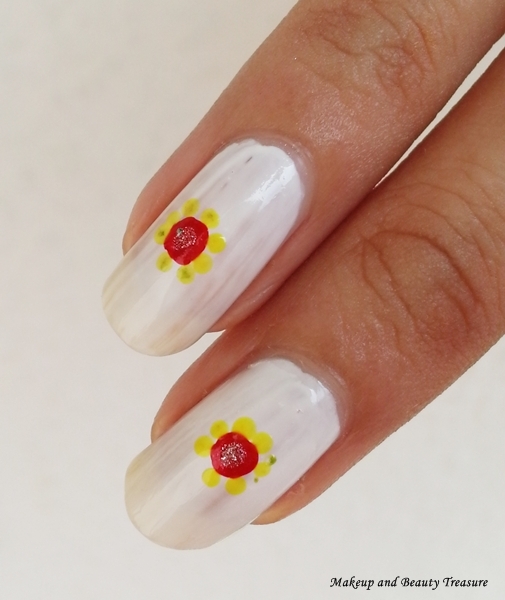 on my thumb and little finger, Born Pretty Store Candy Color Nail Polish on index finger and Faces White O White Nail Polish on middle and ring fingers. On thumb, index and little finger, I had drawn gifts! 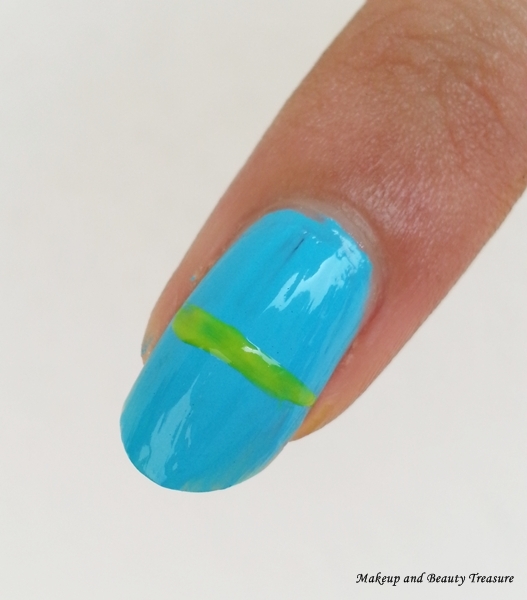 Take a yellow nail art pen and draw a horizontal line in the middle of the finger. 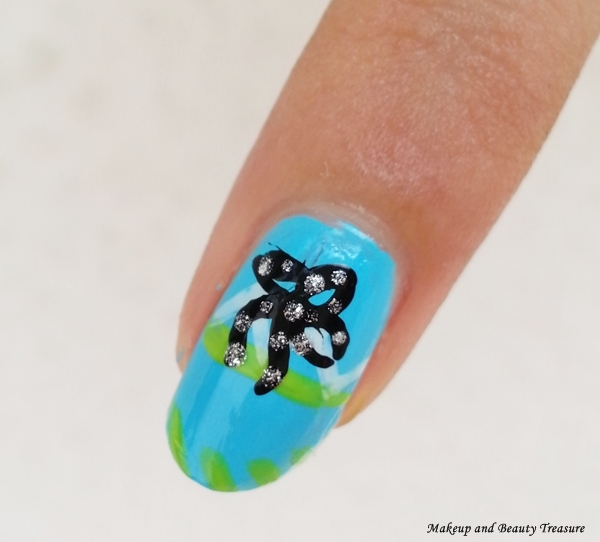 With the same nail art pen, draw small slanted strokes at the tip. 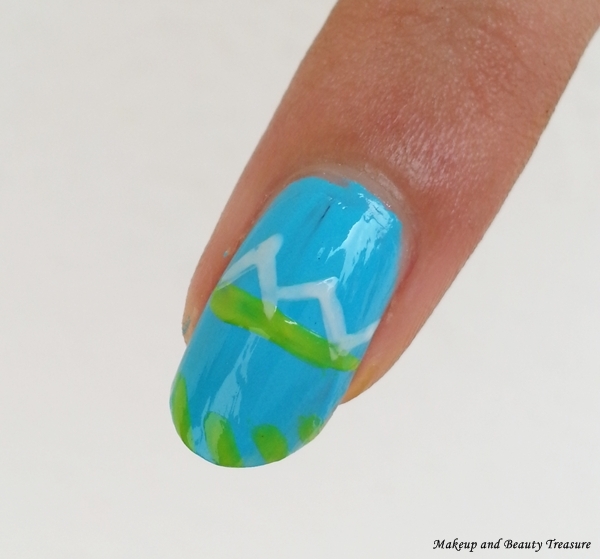 Take a white nail art pen and draw zig zag lines onto the yellow line. 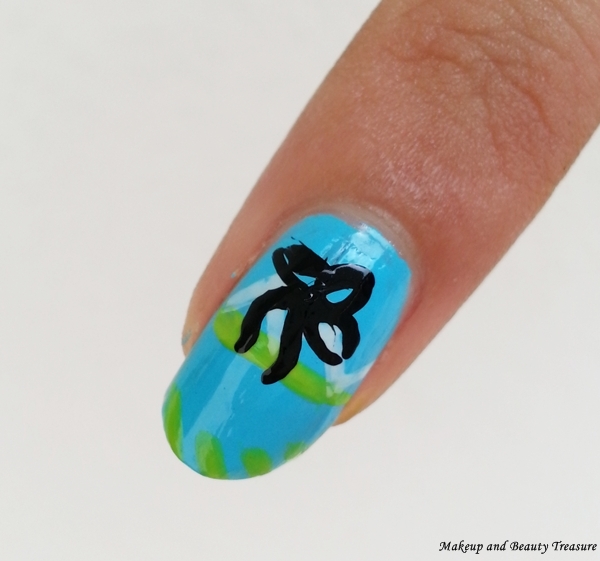 With a black nail art pen, draw a bow and let it dry completely. 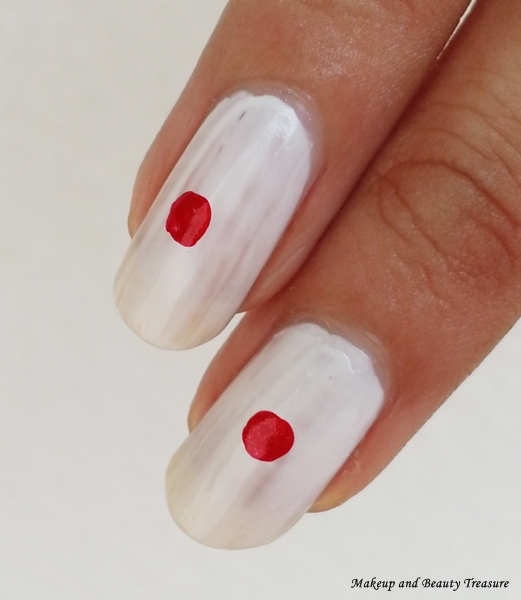 Put silver dots using a nail art tool. I have used Maybelline Glitter Mania Nail Polish in Dazzling Diva! It is the prettiest silver nail polish I own! I drew rakhi on my middle and ring finger. Take the nail art tool and put a big dot. I have used Rosemary Nail Polish. Using Maybelline Glitter Mania Nail Polish in Dazzling Diva put a smaller dot over the red dot and yellow dots around it. With the dark pink nail art pen, draw the strings on either side. Do the same for the ring finger! Draw the same gift pattern on little finger. 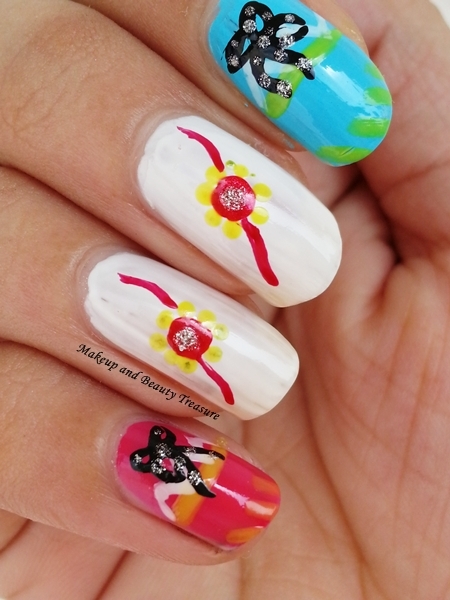 Our Rakhi Special Nail Art is ready! 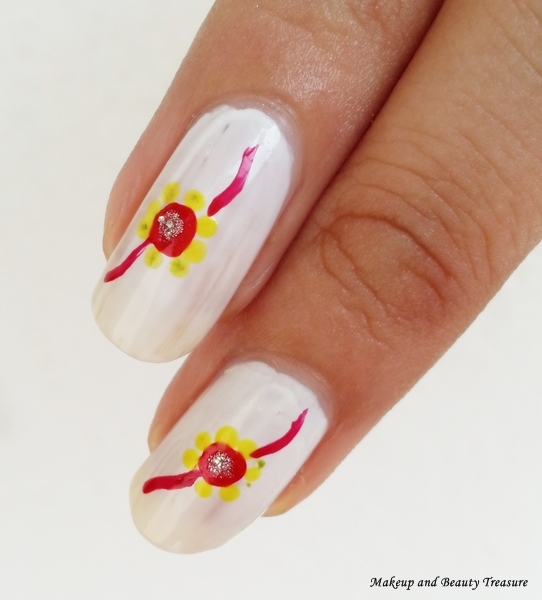 Hope you enjoyed my simple rakhi nail art! I have an elder brother and I get many gifts from him mostly mobile. I cannot believe I already have 6 smart phones *laughs* and this time I told him I don’t need any more. I really enjoyed making this nail art using different colors and it looks prettier in person. Wishing all my readers a very HAPPY RAKSHABANDHAN! What are your plans for Rakshabandhan?